We drove out to Antelope Island earlier this week. 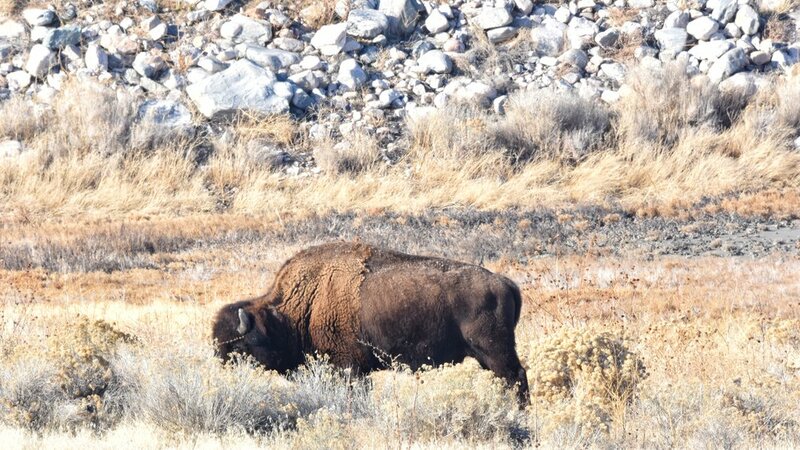 I am still trying to figure out this lone buffalo. Isolated from the rest of his friends, he was in this position for a long time, at least as long as we were at the park. Perhaps there was something really good to eat in this spot. How is your focus? In this Twitter, Facebook and Instagram world, it’s hard to focus. Sometimes it’s best to turn it all off, and work for 25 minutes or so. Reward yourself with some time online (just not all day), then repeat. It’s called the Pomodoro Technique. I have heard several versions of it, but they all work the same way in general. I just like to reward myself after a period of intense work. As for the buffalo, I think his technique to focus on chewing for 2 or 3 hours before taking a break. Or, maybe he’s testing the new California pot laws behind the weeds (pun).